There seems to be this weird complaint among a subsection of comic book fandom that changes in superhero comics are never permanent. This is especially true when it comes to death. Whether the death of a character is permanent or not, I believe the most important thing is if it is an entertaining story or not. I can somewhat understand the viewpoint of superhero deaths that are done as a “stunt,” but even then I don’t really agree with it. “They’re just trying to get us to buy this comic.” Well yeah, isn’t that kind of the whole point? 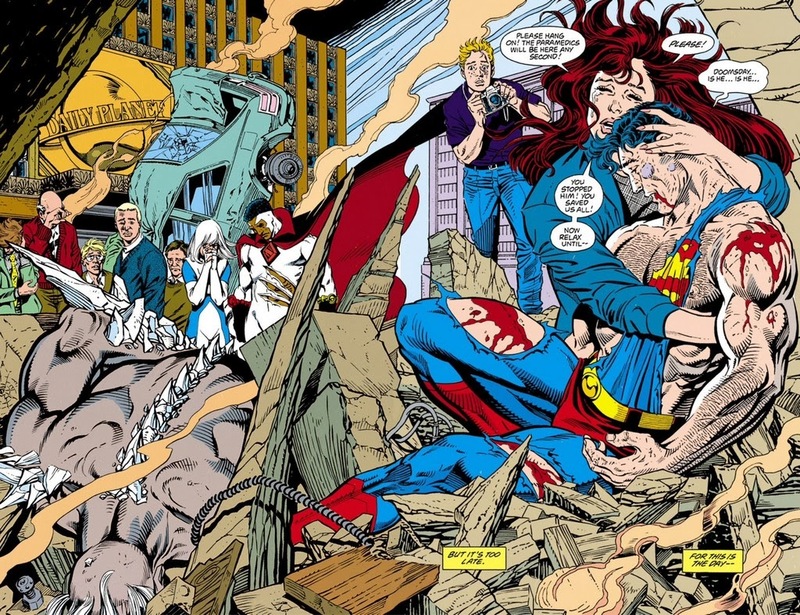 If anything, I’ll grant them the assumption that some comic book deaths are thrown into the story to give it an extra sense of importance, and aren’t narratively driven at all (most likely to occur in the less enjoyable of event crossovers, cough cough Fear Itself). Even Fear Itself, as cheap as Bucky Cap’s “death” initially seemed to be, ended up serving a bigger purpose by forcing Steve back into the spotlight, and returning Bucky to the much better role of Winter Soldier. Most of the more significant superhero deaths that have occurred over the past decade I feel like were story-driven deaths that marketing took advantage of, and not some devious plot by the publishers to force you to buy comics against your will. Exploring what a character’s death means to their world, is one of the distinct advantages of the genre. No other entertainment medium is really able to take advantage of that type of story the way that comic books can, and do. 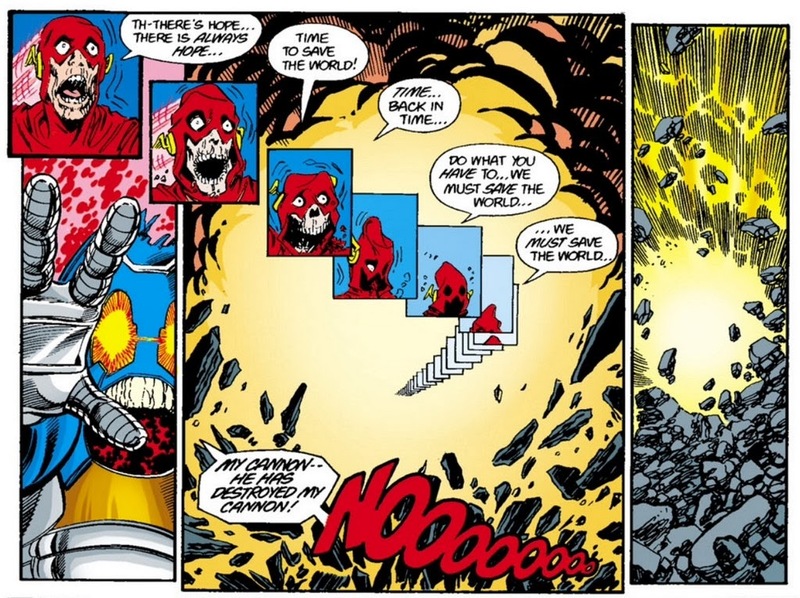 For that reason, I’m going to share some of my favorite deaths in comics. Of course, SPOILERS from this point on. You’ve been adequately warned. 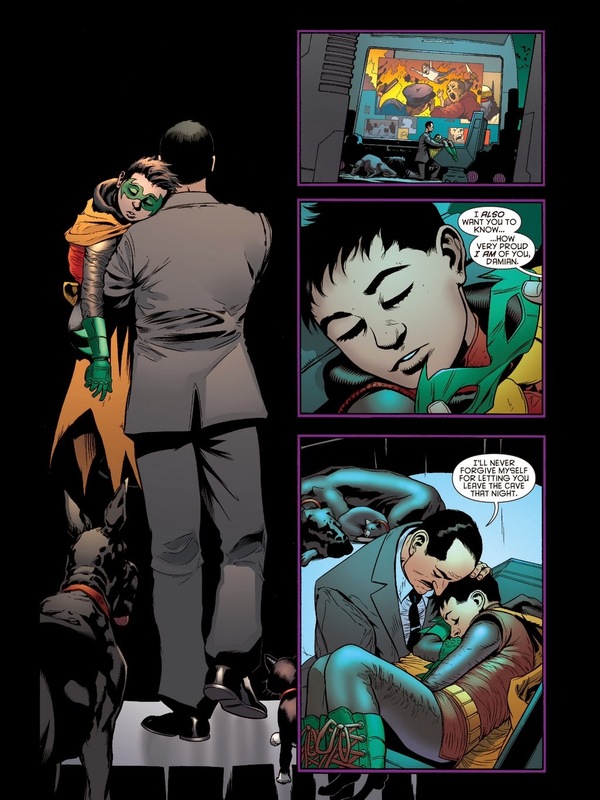 First up, is a death that I covered recently when talking about my love of the character of Damian Wayne. 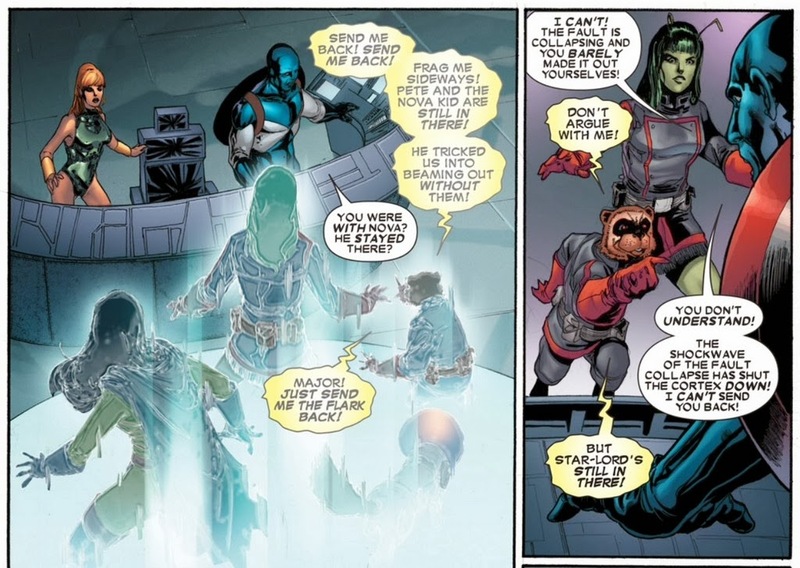 Damian went out in the most comic book of ways, fighting his own hyper-aged clone. 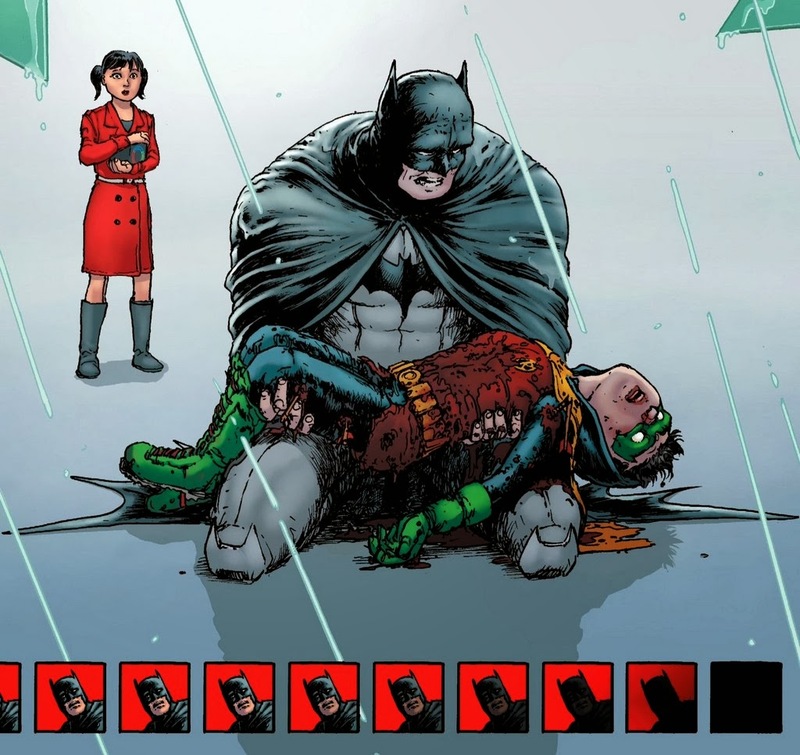 The subsequent grief of the bat-family, especially Batman himself, is what really sells this one for me. That’s what sells a great death story for me, if it can tap into the indescribable grief that comes from losing a loved one. 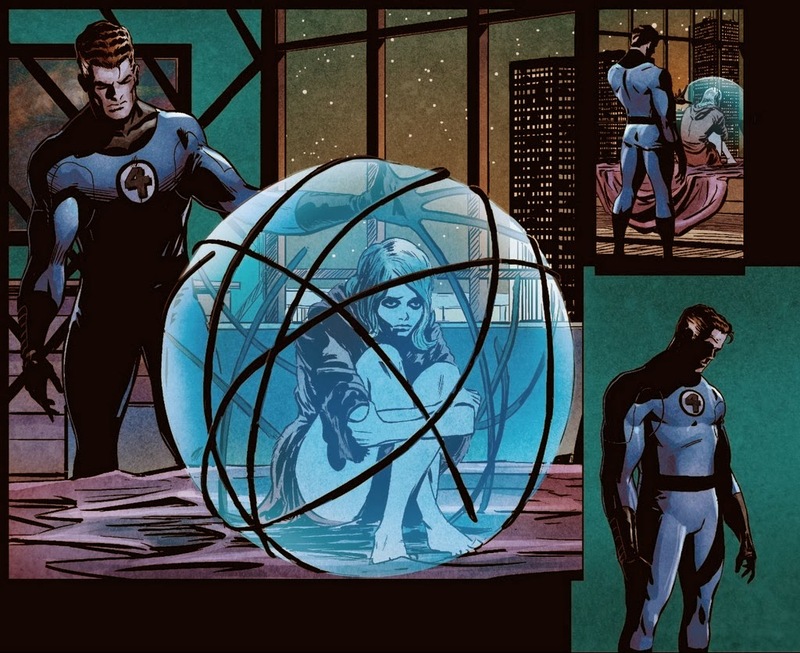 Next up, is the lovely Karen Page, struck down by the irredeemable Bullseye. 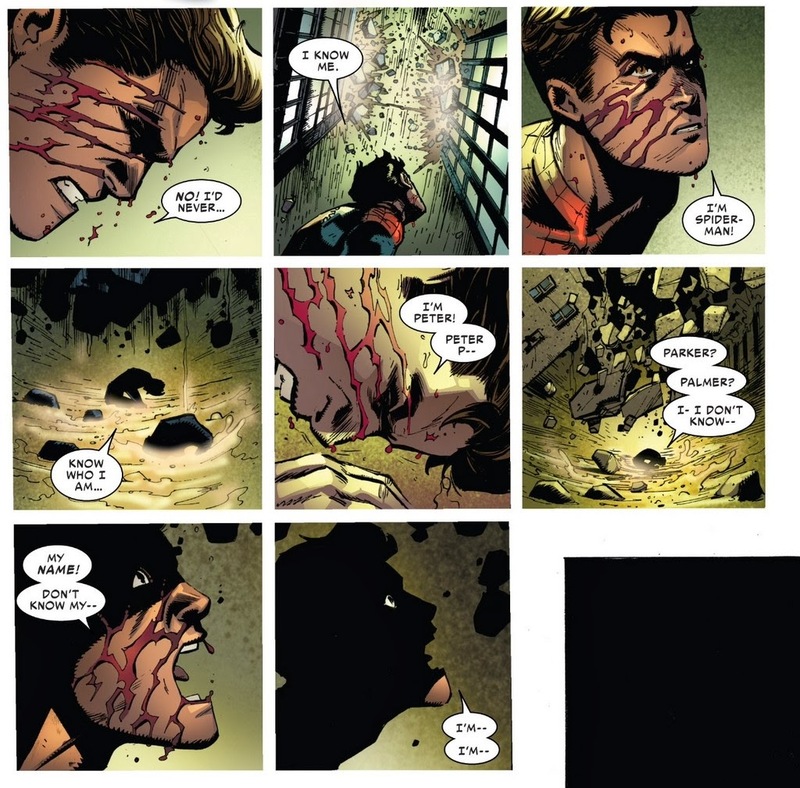 Of course the death of Steve Rogers is on the list. His last words really highlight the nobility of the character, as he worries about the safety of the bystanders to his last breath. 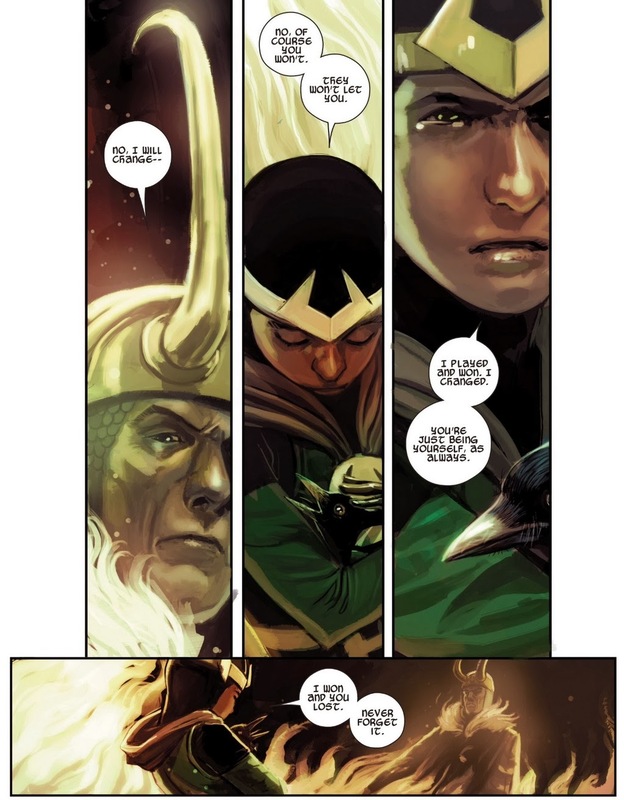 The final fate of Kid Loki is too painful to even discuss, you’ll just have to settle for this quick glimpse. 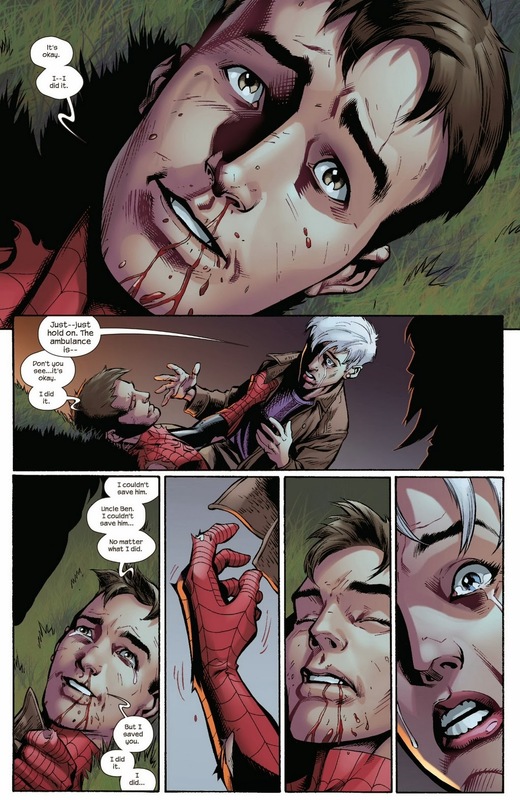 The death of Peter Parker in the Ultimate universe has perhaps the most fitting and touching final words of anything else on this list. 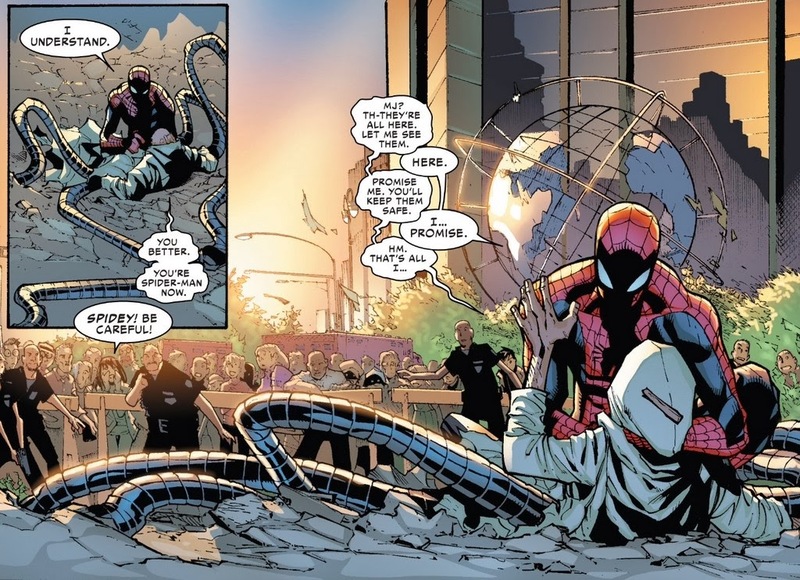 Following that, the death of Peter Parker in the regular Marvel universe, after getting mind-swapped into the body of Doctor Octopus, totally worked for me on a different level. His final pleas with Otto to do the right thing elevate it far above the “stunt” comic that many irrational online fans proclaim it to be. Driving the knife in even further, Peter is seemingly erased for good from his own brain only a few months after. A truly heartbreaking scene. No list would be complete without including the suicide of Jean Grey as the Phoenix, one of the most popular and beloved stories in Marvel history. 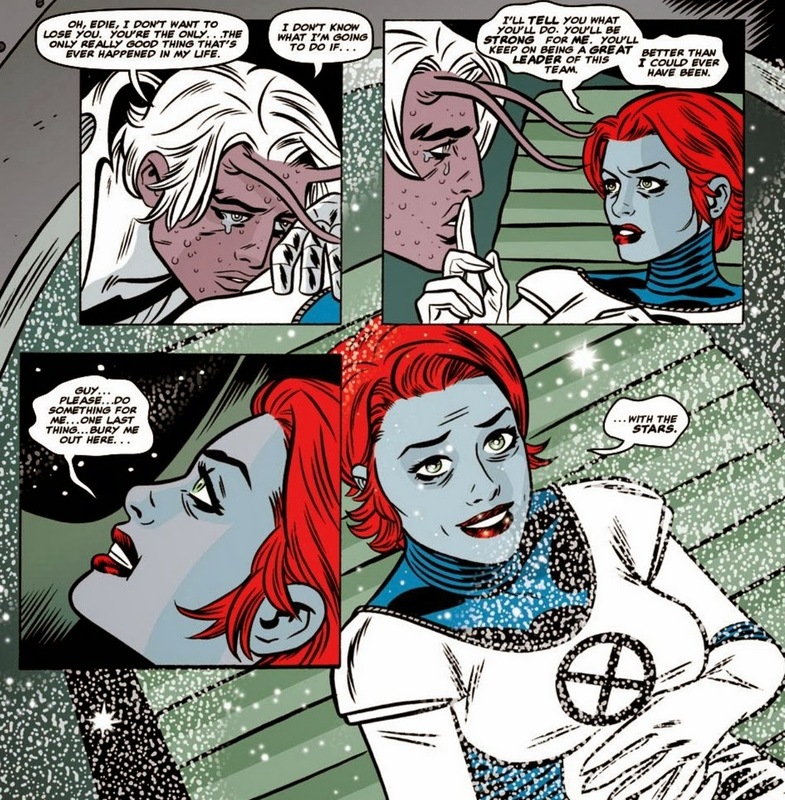 Probably the most painful death for me as a reader (that didn’t involve me being an adolescent) was the death of U-Go Girl in X-Force. Equally sudden, shocking, and unexpected, it just kills me every single time. 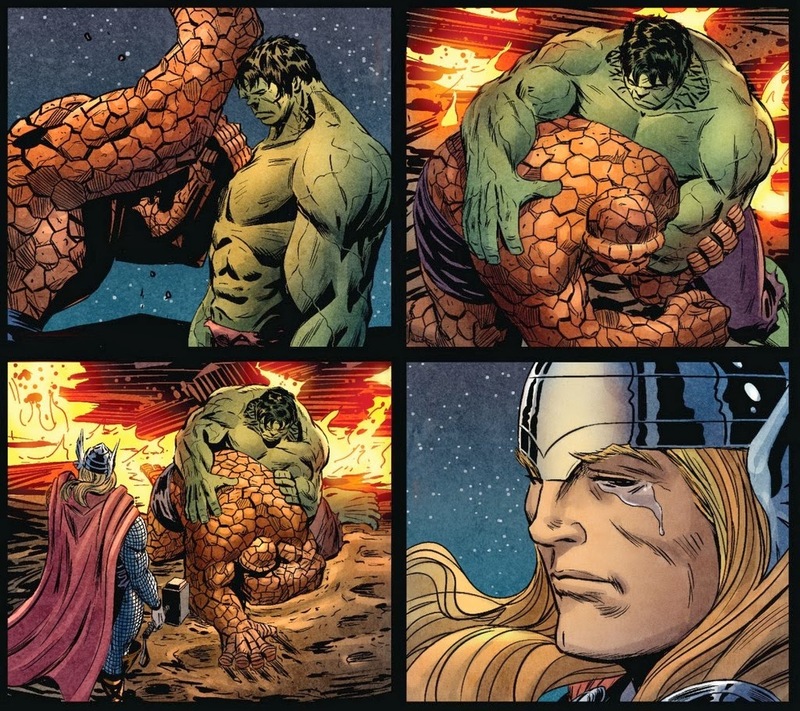 My favorite example of the kinds of emotional stories that can be told from the death of a beloved character comes as part of the final stand of Johnny Storm, the Human Torch. 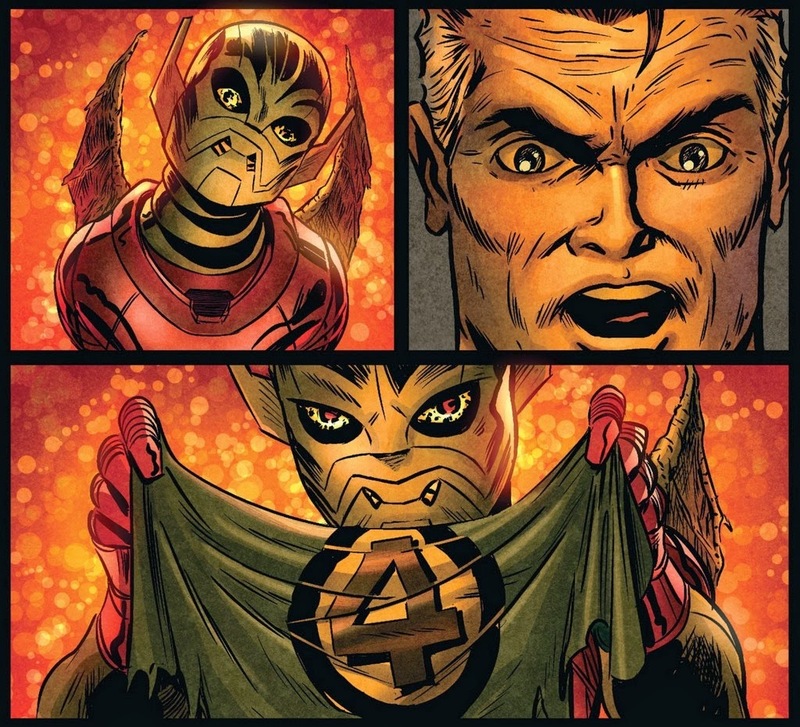 or this chilling scene between Reed Richards and Annihilus. or the anguish of The Thing. These were (forgive the pun) fantastic scenes, and they aren’t possible without Johnny’s seeming death. 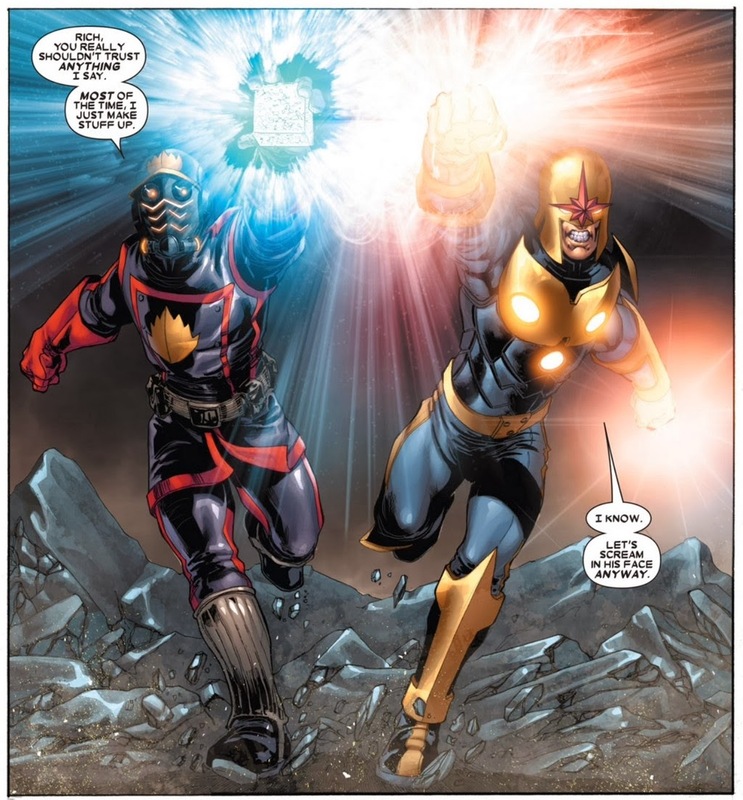 Nothing hits me harder than the selfless sacrifice play, and there aren’t many better than the climatic battle between Star-Lord, Nova, and Thanos. Rocket Raccoon demanding to be sent back in is the perfect touch you need for this type of scene. 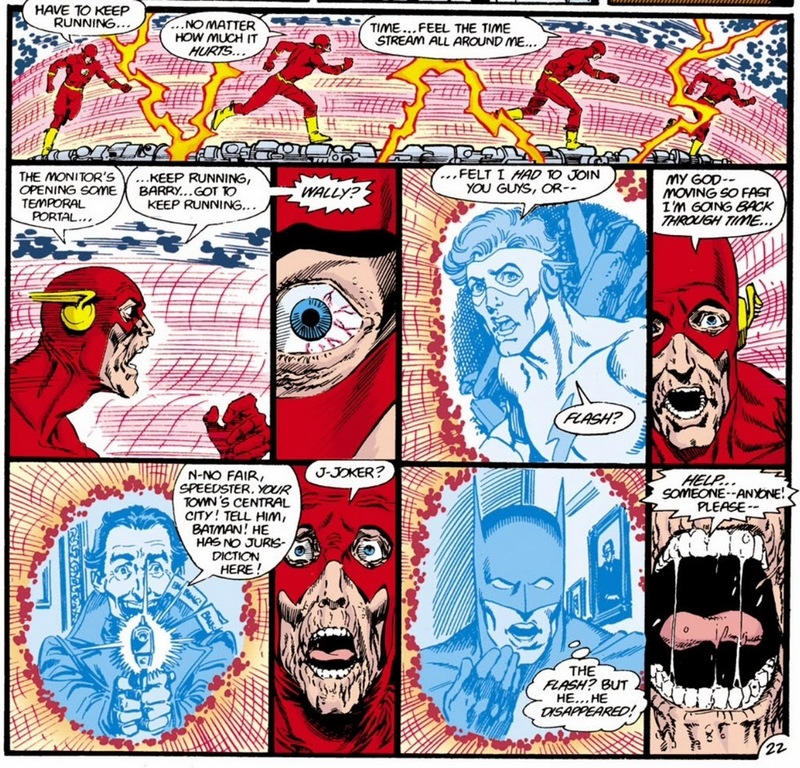 My next entry should come as no surprise to any longtime readers, the Barry Allen Flash. 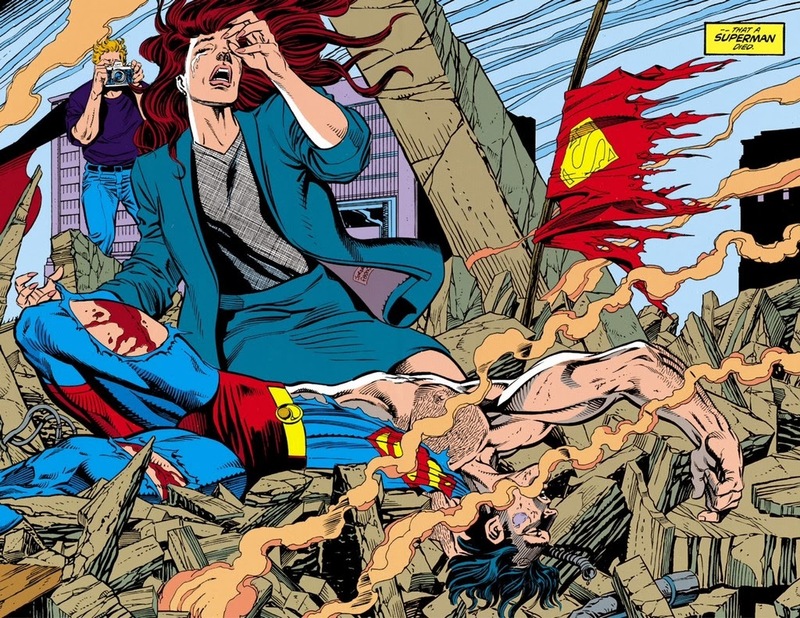 It was the single most heroic and inspiring death in superhero comic history. 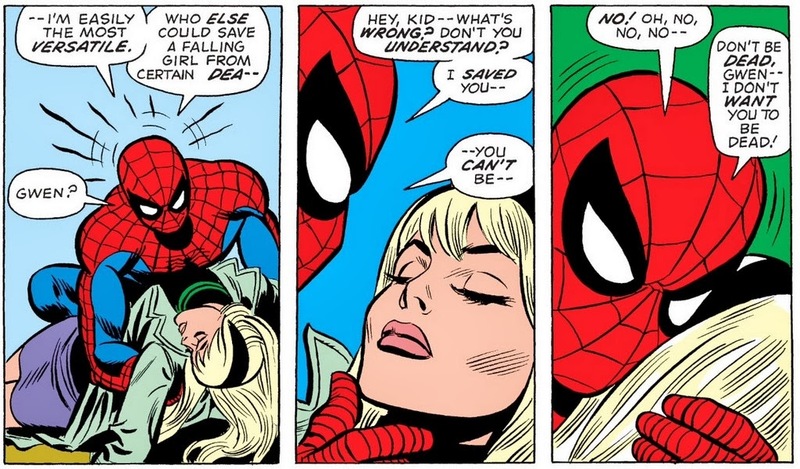 The impact of the death of Gwen Stacy cannot be overstated, and it remains my single favorite comic book of all-time. 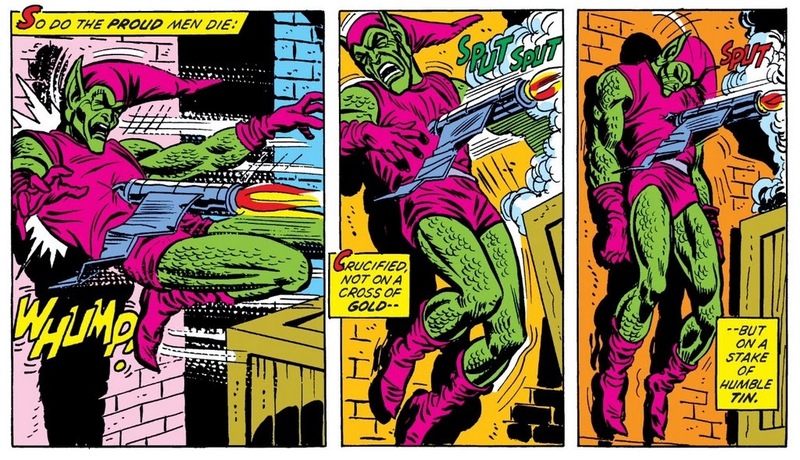 Not to be outdone, the death of the Green Goblin in the following issue was just as compelling. This last death is a favorite simply because it makes me smile every time I see it. Big grin on my face right now. 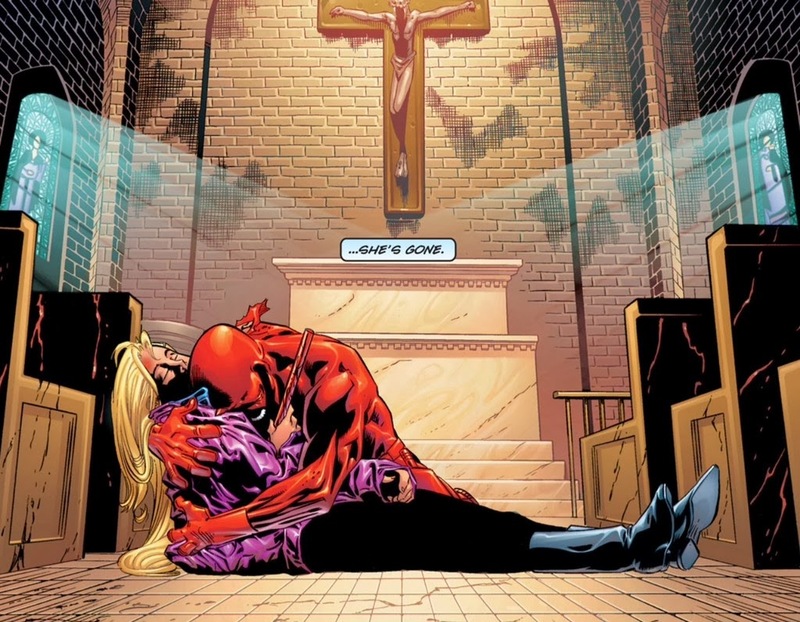 Deaths have provided some of the most emotional moments and storytelling that comic books can offer. It’s a great way to explore, or remind readers, what makes a character special. When done right, the reactions of the character’s family and friends are what really drive the emotion home. Bypassing that because of some cynical view of their lack of permanence seems like a bit of a waste. 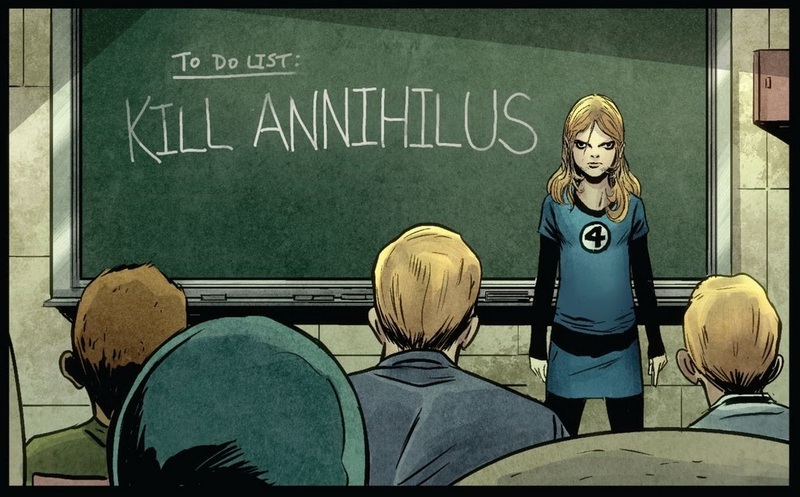 U-Go Girl and Gwen Stacy probably aren’t coming back, and that stings. But the depressing solitude of Peter as he slowly gets erased is just as painful, and that will never change, even after he comes back. 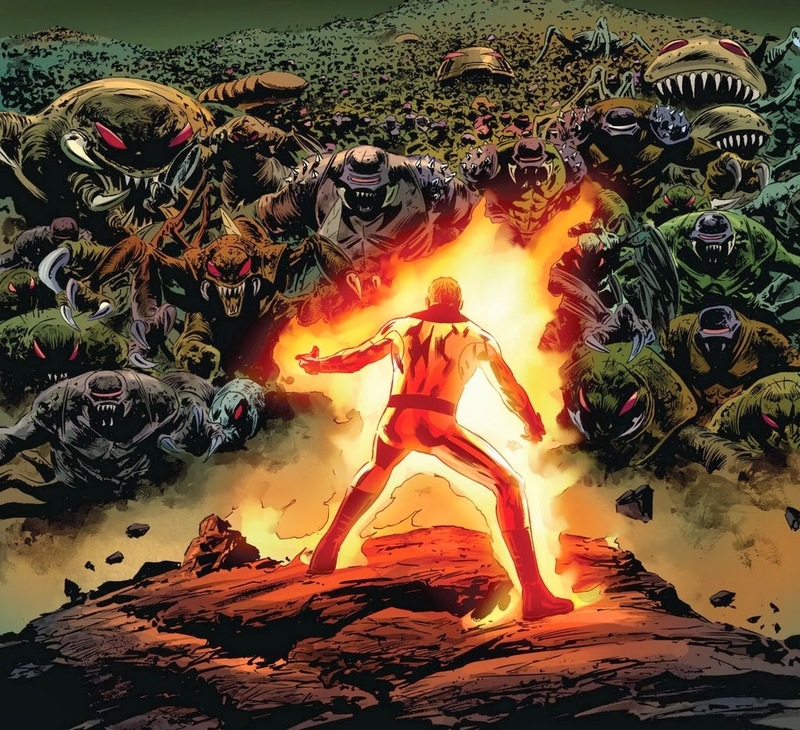 The overwhelming grief of the Fantastic Four isn’t any less beautifully done because Johnny Storm was eventually revived. The unfortunate return of Superman doesn’t make his sacrifice any less heroic. 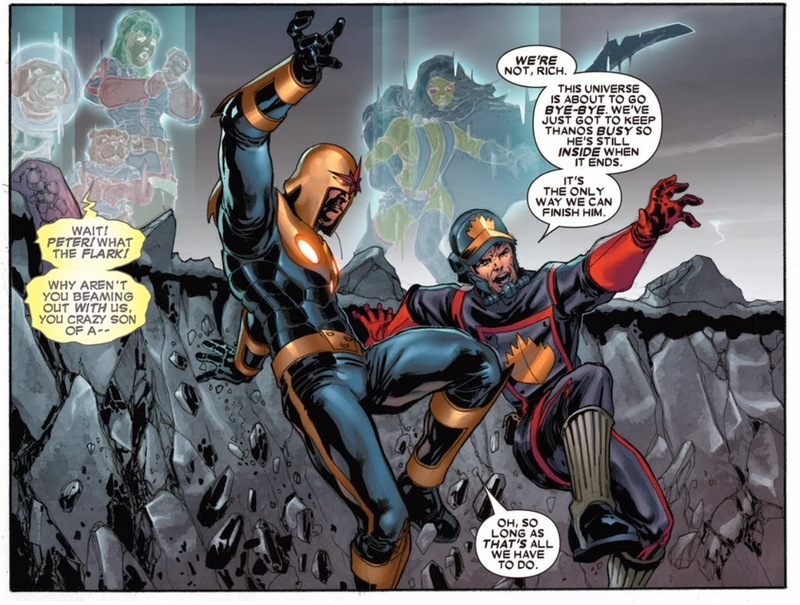 Death is just one tool in the superhero comic book storytelling arsenal. If you can’t buy into the moment because of your own expectations for what happens next, then that is too bad. It’s not the writer’s fault, or marketing’s, or the company’s. It’s your fault. Don’t blame it on comics. 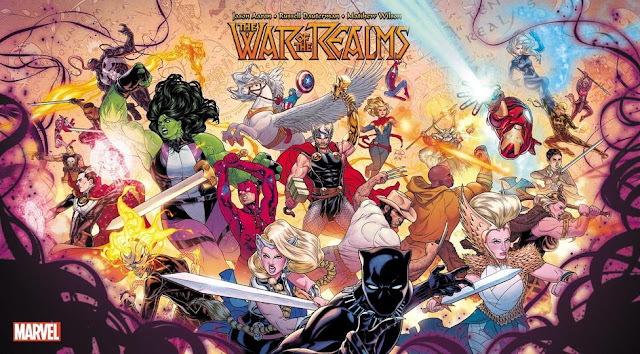 When done right, death (and rebirth) in comics is a powerful storytelling tool. But as die-hard fans, we can tell the difference between a throwaway death (ex. 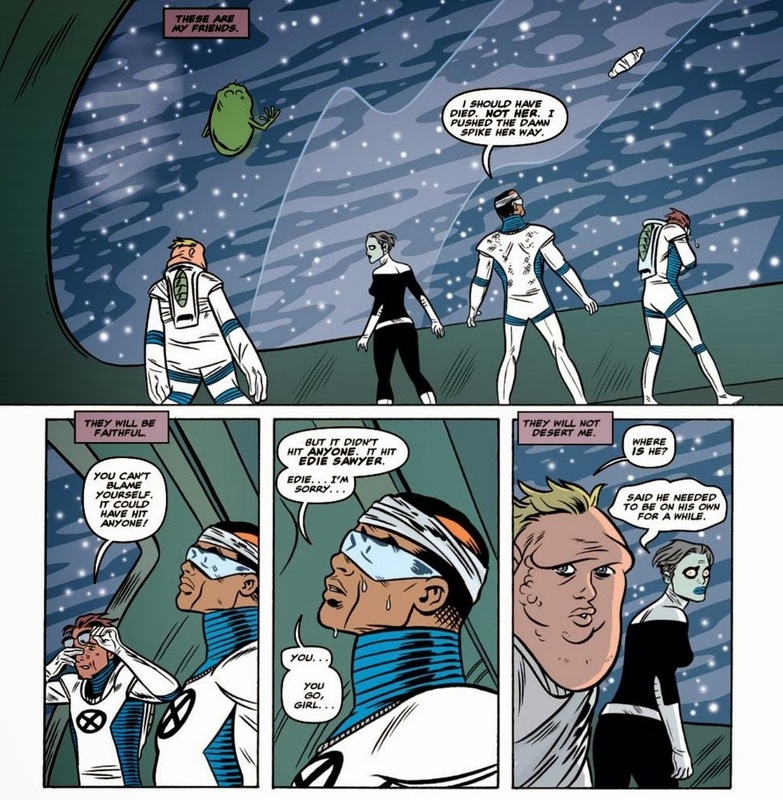 Prof. X and Nighcrawler) done in the name of marketing and a a dramatic death (Phoenix and Gwen Stacy) that's a milestone which propels the protagonist's journey forward. I totally agree with you. It's just sad because publishers rely on it so much and as readers, we want new and refreshing story developments. Instead, we see the Big Two tapping the same old well way too many times. 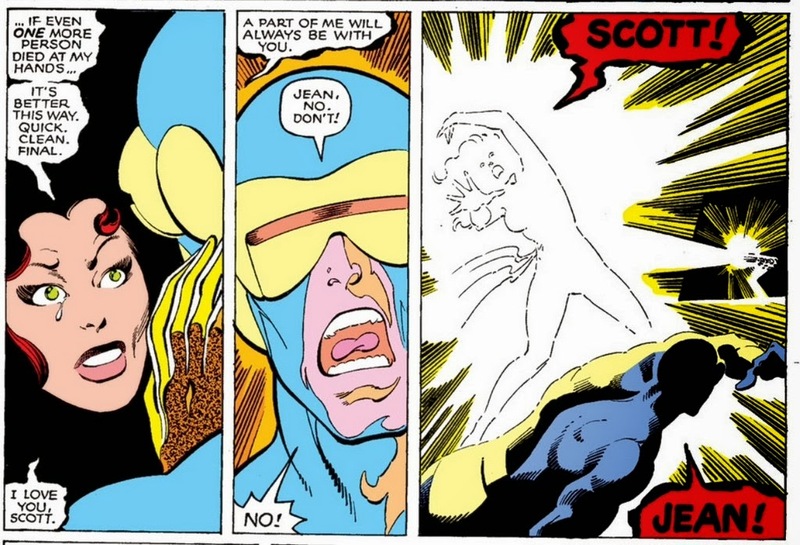 By now, it's hard to muster excitement when we hear about Jean Grey dying for the nth time. So when comic book fans groan about a major character dying in an upcoming storyline, I can see where they're coming from as well.